My roasted vegetable recipe is amazing. Olive oil, fresh fall vegetables, rosemary and spicy pepper flakes cooked at high heat means crispy, caramelized outsides and soft, smooth insides. It means whole garlic cloves melting in your mouth. It’s one of our favourite fall/winter dishes, and we usually make our first batch as soon as it’s cool enough to leave the oven on. I penned this recipe into our Week 2 October Unprocessed menu without double-checking the ingredients. This dish is so simple – of course it’s natural! Right? So instead of using the spice blend, I did what I’ve been doing a lot of this week, and improvised. The result was still good (so good I didn’t take photos before eating…whoops) but it wasn’t as good as it normally is. Clearly my seasoning skills aren’t what I thought they were. 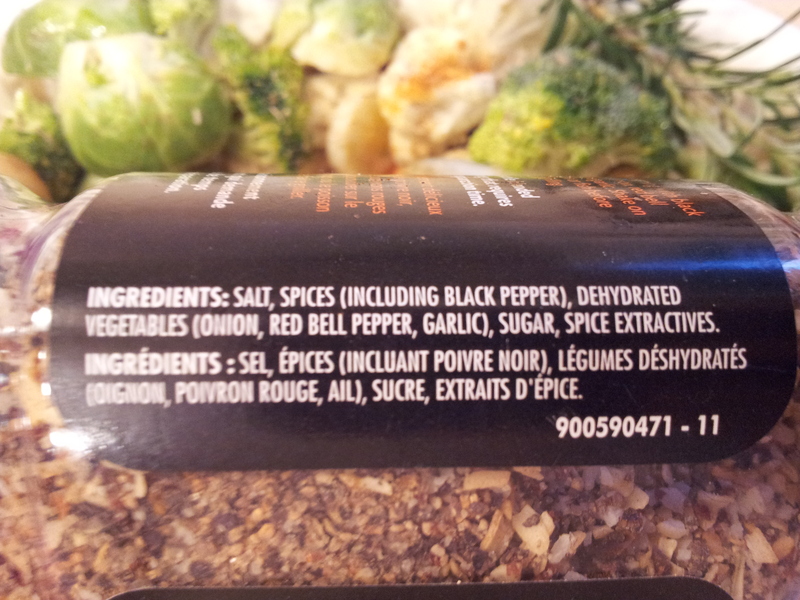 Take my spice selections with a grain of salt (add plenty of that, too) and experiment with whatever tickles your fancy. Just be generous, whatever you use. We usually eat these veggies on a big pile of cooked quinoa or brown rice; sometimes with marinated tofu on the side. *Really more of a guideline. Choose, chop, and toss in whatever vegetables you have around. Fill the pan. Wash and scrub all vegetables. Peel the sweet potato and onion (optionally peel the potato and carrot, removing any blemishes). Cut all vegetables into a large dice or slice uniformly using a mandolin. 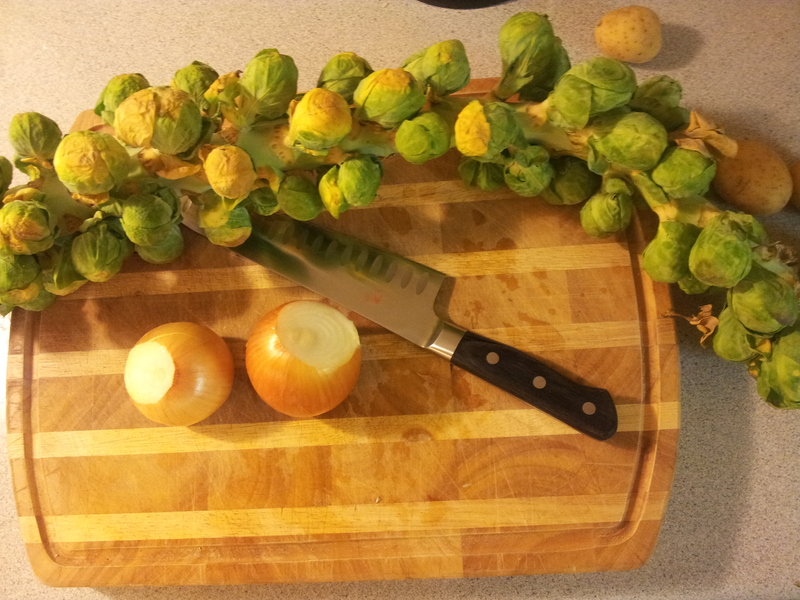 Remove stems from Brussels sprouts and halve. Peel the garlic cloves and leave whole. 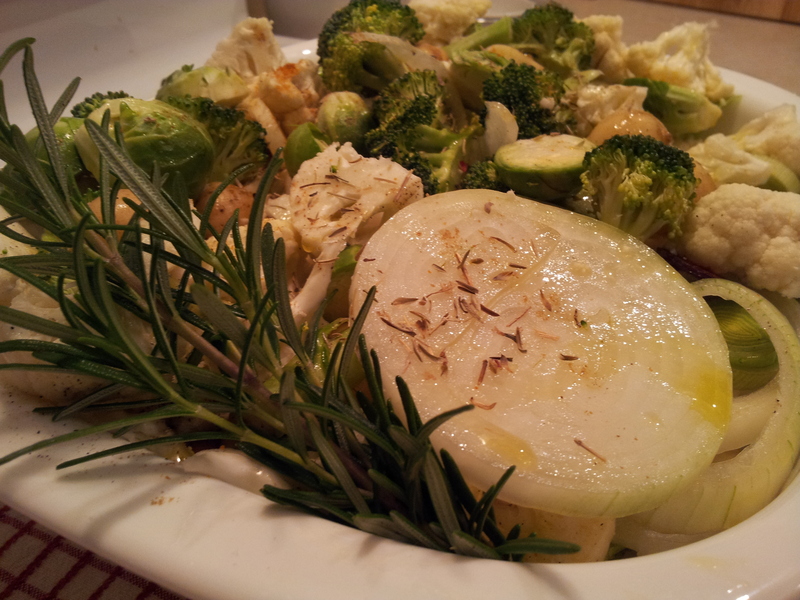 Coat the bottom of a large baking pan (at least 9×13) with about 1/4 of the olive oil and add about half the vegetables. Stir well and top with salt, pepper, and spices. Drizzle with olive oil. Add the rest of the vegetables and drizzle the rest of the olive oil over top. Add more spices, salt, and pepper. Stir, ensuring all veggies are sporting an olive oil sheen. Roast vegetables for 45-60 minutes, stirring every 15 minutes to prevent burning. Taste often and add seasoning to taste.